Modern medicine has disavowed theories that suggest that there is no way to improve your memory. If you have ever wonder how to enhance memory, read the full article to understand what you can do to help yourself quickly. Simply put, your brain is always growing and changing by producing new cells as long as you give it the nutrition it requires to perform its functions effectively, including how well it memorizes things. Learn how to improve memory with these 36 ways to boost memory that will make your mind sharper and more alert than before. All techniques are supported by proper research and sufficient evidence is available to back these top tips to increase memory. The Mediterranean diet is perhaps one of the best diets to have. It has been proven to result in better memory and hamper the mental depreciation occurring in your brain. MIND is an acronym for the Mediterranean-DASH Intervention for Neurodegenerative Delay. In a MIND diet experiment, people who followed said diet exhibited reduced risk for Alzheimer’s by 53%. Moreover, a low carb or ketogenic diet (high in good fats and proteins) also shows promise for memory improvement. Both diets stress on eating real food rather than processed food items, avoiding sugar and eating healthier fats. This is the similarity that stands out from both of the above fats that should be focused on. turmeric — curcumin, turmerone – buy here. These fats are adulterated fats in processed foods that contribute to heart disease, stroke, diabetes, obesity, cancer, and several other diseases. These kinds of unhealthy fats harm the brain by causing inflammation, encouraging free radical damage and inhibiting production of omega-3 fatty acids. Regular consumption of trans fats can boost the depression rate by as much as 50% as well. These fats have already been banned in lots of countries and the US will likely do the same. Try and clear your kitchen cabinets of any items that contain trans fats. Processed vegetable oils like soy and canola oil contain up to 4.2% trans fats and even labels that read “0g trans fats” can be terribly misleading. White sugar is an enemy to your brain and memory which easily causes learning disorders, depression and greater mental decline in the brain. However, the average American consumes so much sugar that white sugar has also been termed sweet poison by studies. High blood sugar levels lead to decreased activity in the hippocampus, the area in the brain which is most relevant to memory. Sugar is also reported as a cause of Alzheimer’s or diabetes of the brain. However, this doesn’t mean that you turn a blind eye on everything else listed in the ingredients table on food items; high fructose corn syrup (HFCS) is a known alternative to white sugar that is just as hazardous. Cane sugar, raw sugar, honey, agave nectar, and fruit juice concentrate are some other alternate names for sugar. MSG is a popular flavor additive added to processed foods. It breaks down in the body into formaldehyde and glutamate, a known excitotoxin that can over-stimulate brain cells to death. People who are sensitive to MSG can also likely suffer from brain fog, mood swings, migraines, upset stomach, diarrhea, heart irregularities, and asthma. If you ever find yourself in a supermarket or restaurant, stay away from canned soups, snack foods, ramen noodles, and veggie burgers which are soy products. Keep a bottle of the amino acid Taurine with you if your body reacts horribly to MSG. Is there any better tonic than water? Your brain is 73% water and it takes only 2% dehydration to depreciate your memory, attention, and other cognitive skills. Always keep a bottle of water with you wherever you go, especially if you are heading to the gym or for a physical workout. You can also download an app like Waterlogged or Daily Water to remind you to drink if you tend to forget to stay hydrated. 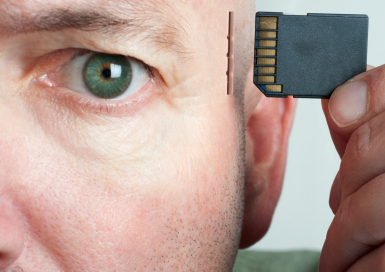 This mind-altering drug is used by countless people to boost memory, focus and efficiency. However, it is addictive chemical and overdoses can lead to insomnia, agitation and anxiety. Coffee and various teas contain antioxidants and flavonoids that protect your brain and increase mental vitality. Make sure you do not get caffeine from soda/pop or energy drinks which contain an unhealthy amount of sugar. Red wine might be the healthiest form of alcohol but not a lot of people know that it also contains Resveratrol, an antioxidant that is sold as an amazing memory supplement. Drinking less protects your memory and decreases your risk of dementia or Alzheimer’s. DHA (docosahexaenoic acid) is an omega-3 essential fatty acid that helps in the formation of the cerebral cortex which is the part of the brain responsible for memory, language, creativity, emotion and your attention span. Research has proved that taking essential fatty acid supplements, especially those with DHA, supports brain health and cognitive skills. Fish oil is a common source of DHA which boosts memory in young adults by 23%. Studies also show that over 70% people are deficient in DHA. Make sure you take the supplement responsibly! Vitamins C, D, E, K and B complex in the diet all lead to memory enhancement. Minerals like magnesium, iron, iodine, and zinc help too. Simply taking a multivitamin supplement alone can boost your brain function easily. Make sure the supplements you are using are of the highest quality and are genuine. These natural compounds extracted from plants can give you an instant memory boost. According to modern research, even simply sniffing rosemary essential oil can vastly improve memory, processing speed and alertness. Peppermint is another essential oil that can make you more attentive. If you travel on familiar or routine routes, your brain is less active because it recognizes the paths. However, on unfamiliar roads, your cortex and hippocampus is activated. The use of GPS technology makes the brain lazy and reduces cognitive function and skills. To counter this mental decline, put away your GPS and exercise navigation skills. Using your memory instead of relying on maps helps increase your memory capacity. Knowledge of a second language can greatly improve mental skills. Speaking a second language is one of the most effective ways to keep your mind sharp and people who know more than one language usually have a better memory. As an exercise, you can Google “learn 100 core words” to learn 100 core words in numerous languages online. Learning even 3 words a day will help. The majority of brain training programs boast games targeted towards improving memory. If you already enjoy playing games online, trying a brain training program can also reap lots of mental benefits. Neurobic activity is an exercise that is new, fun, and challenging and should engage as many senses as possible. Try doing tasks with your non-dominant hand, wearing your watch upside down, folding laundry with your eyes closed, and even eating with chopsticks. Music engages both sides of the brain simultaneously and positively impacts memory, focus, attention, language skills, and physical coordination. Playing an instrument is better for mental development than passive listening. Meditation is essentially pushups for the brain. This brain exercise has proven cognitive and mental health benefits including memory improvement, stress reduction, mood enhancement, increased focus and attention, better performance at work, and growth of the hippocampus. Even meditating for simply 2 minutes regularly can be beneficial. While chess does make your brain more alert and active, craft hobbies like sewing and woodworking are great brain exercises as well. These hobbies reduce the risk of brain fog, fast mental decline and depression. Drawing or painting something does wonders for your memory. It can even improve memory in Alzheimer’s patients up to 70%. Even if you aren’t a great artist, you can try doodling, sketching something. Let your imagination free and embrace your inner artist! When you stop learning, some parts of your brain start to atrophy while unused neural connections begin to disappear. Try to recall something you’ve always wanted to learn and Google it. You are bound to chance on an article, blog or video that is fairly informative and captures your interest. To improve your memory always be seeking to learn new things, keep the brain muscle strong. There is a strong positive correlation between walking and thinking, as confirmed by science. While walking definitely rids your mind of unnecessary thoughts, it also helps build a sharper brain and focus. Try going on 5-10 minute walks at least every day! Exercises like yoga, tai chi, and qi gong offer a lot of advantages to your brain. All of these give your brain a real workout, improve memory and thinking. If you have a foggy brain ever again, try doing a few minutes of yoga, tai chi or qi gong. More information about these is available at Yoga.com. Outdoor exercises increase vitality, enthusiasm, pleasure, and self-esteem while lowering tension, depression, and fatigue. Walking in natural surroundings is much better for your memory and mood than walking in an urban area. Memory and attention span is reported to increase by 20% after an hour of interaction with nature. Gardening also helps you get vitamin N.
If you can’t get outside, gazing out a window or even looking at pictures of nature can help increase cognitive functions. Sleep is essential for your brain to work properly during the day when you are more physically active. Not only does sleep boost your mental well-being but also helps your brain become sharper if you get a sufficient amount of quality sleep every day. If you are working out or are engaging in physical sports, the time to recover is even higher. If recovering, you need to sleep more to improve your cognition function and thus improve your memory. At night, the brain collects memories, washes out toxic debris, and undergoes self-repair so insomnia or lack of quality sleep will impair your memory, creativity, judgment, and attention. Improve your food choice, mitigate stress levels, and moderate your caffeine consumption for better sleep. Place one hand on your chest and one on your stomach. 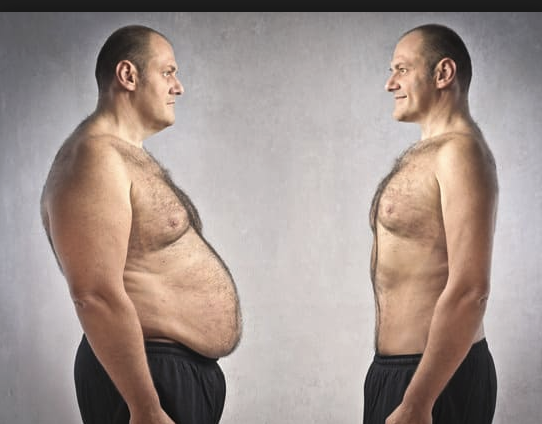 Then slowly inhale through your nose, concentrating on keeping your chest still while also expanding your stomach. Even ten minute talks with your friends can result in impressive memory improvement. Texting and Skyping does not offer the same cognitive rewards as face to face communication so opt for the latter whenever you get the chance. Anticholinergic drugs cause memory loss by blocking acetylcholine, the neurotransmitter of memory and learning. Additionally, OTC antihistamines, pain relievers, sleep aids also increase the risk for dementia. Cigarettes are widely renowned for causing cancer. What a lot of people don’t know is that cigarettes create million of free radicals that kill brain cells. If you find it hard to quit smoking, you might be low in the neurotransmitter dopamine. Overweight or obese people have significantly less brain tissue and will more likely suffer from brain shrinkage and brain function loss. Luckily, the best diets for weight loss are also the same for brain health. An acronym is basically a type of abbreviation that forms a word from the initial letters of other words. Sometimes they are an abbreviation that’s spoken as a word such as AARP (American Association of Retired Persons) or NATO (North Atlantic Treaty Organization). If you grew up in the US, you may have learned the acronym SHOME (“Show Me”) to remember the names of the Great Lakes. An acrostic is a simple sequence of letters that helps you remember a series of facts in a specific order. A popular acrostic is: “Mary’s Violet Eyes Made John Stay Up Nights Pining” for remembering the series of planets in the solar system. Try using acrostics when you need to remember something in a particular order. If there isn’t a well-known acrostic for what you want to remember, you can always make up one of your own. Chunking is the process where you can break complex information into smaller, more memorable pieces. This is one of the chief reasons phone numbers, social security numbers, and zip codes are broken down into small groups of numbers. If you need to pick up 10 items from the grocery store, it’s easier to remember that you need 4 items from frozen foods, 3 from produce, and 3 from the baking aisle than a list of simply 10 unrelated items to improve your memory. To illustrate this method, let’s take a rather simple example of using your own home as the location to remember a grocery list. In your mind’s “eye”, place the items you want to remember throughout your house, such as apples on the coffee table, carrots on the bed, and lettuce on your desk. Then, when you want to recall the items as you shop, visualize walking through your house. This is how you will start “seeing” the items on your shopping list. Practice using this “mind palace technique” when you have to pick up a few items at the grocery store. Checklists are used widely by surgeons, pilots, and emergency workers. Taking notes helps too. Manually writing down stuff increases the likelihood that you’ll remember what you’ve written. Red ink also works better than blue or black ink. Mind mapping is a way to take notes that can help you learn and remember better as well. This technique is sometimes described as a tree with the main ideas represented as branches and topics of lesser importance represented as twigs. Make a checklist for any tasks or chores that need to be completed regularly. Keep a notepad, sticky notes or paper with you to write stuff on for you to remember. 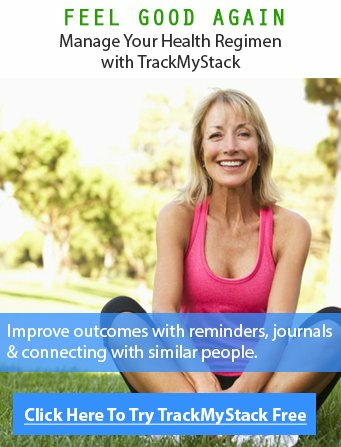 TrackMyStack is a great way to organize your health, and many people use it as a health journal, sign up for the pro here to see how your life looks — graphed. This technique is simple. Why should you pay attention and how does this improve memory? If you don’t pay enough attention to something, the problem is that you didn’t process the moment properly in the first place. This is why it is silly to expect your brain to remember the details. Clutter affects your brain’s ability to concentrate and process information while multitasking disrupts short-term memory. A lot of people believe improving memory is not possible and that memory is simply a one-way street. However, this article has explained numerous ways you can improve your memory. To conclude, we can now establish that a healthy lifestyle is essential to good mental health and well-being and that memory is a skill that should always be improved via learning more. If you follow some of the techniques in this guide, you’ll begin thinking faster and smarter in no time! To see a full list of memory enhancing supplements click here.